In a great blog post, Richard Martin (@IndaloGenesis) explained why you have to experience other people’s viewpoint in order to have a proper understanding of the world around… even if you must be conscious that, doing this, you are still elaborating a perspective that is plainly yours, and, as thus, plainly unique. While exposure to a diversity of perspectives is essential to any attempt to understand how other people see and interpret the world around them, it is impossible to divest ourselves of all our own accumulated knowledge, experience, culture and filters. To assess someone else’s description or to sit in another’s chair, does not alter the fact that we are still using our own eyes, not theirs. This text resonates with my own work since I have been working for more than twenty years on a "dual" issue: considering that multi-disciplinary teams (typically in health) are composed of people with very different viewpoints (a viewpoint being the sum of a view angle and a focus point, say a job and a specialty), what kind of "common perspective" (called an "artifact" in the knowledge management jargon) can we provide them so that they can contribute to a common project? Richard would argue that, as a Neo-Generalist, he is more interested in turning around a vase of flowers Nevertheless, his text contains all the concepts (viewpoints, artifact) to understand why a "record of records" (piling up each others views) will never be a tool for those who have to contribute to the (health or whatever) project of one of their fellow human being. 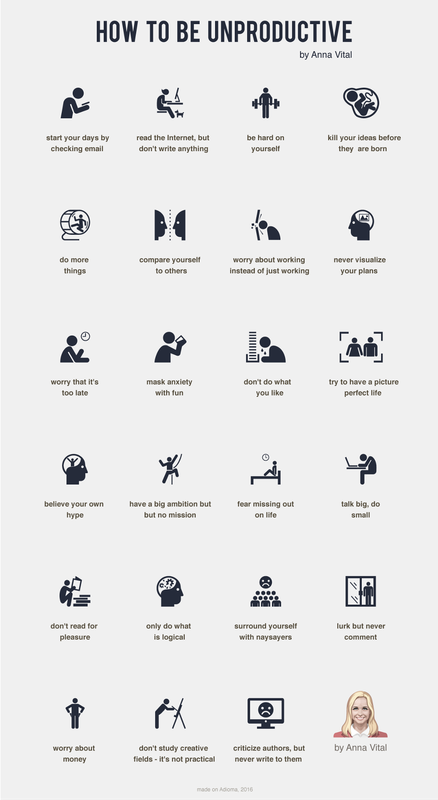 To be unproductive is pretty easy; as pointed out by Anna Vital (@annavitals), it is just about doing mundane things "as usual". 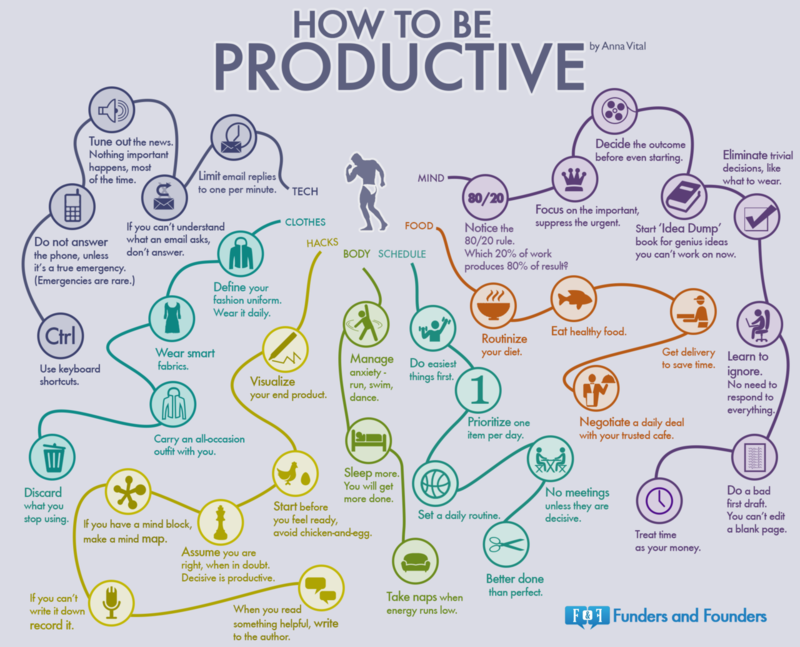 To be productive seems considerably more complex… to the points it actually seems you have to become fully unproductive in order to invest in understanding how to become productive. Not long ago, if someone mentioned the work "network"; we thought: TV or radio. 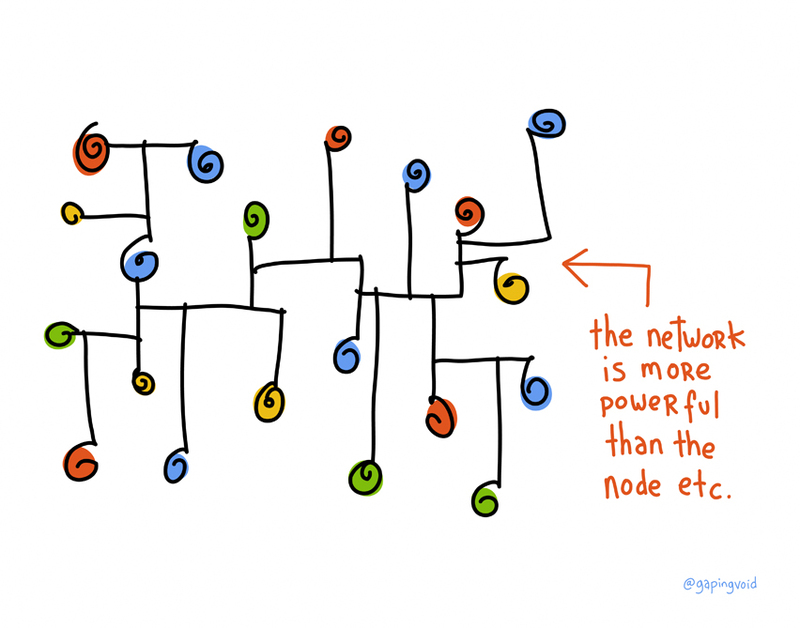 Now we think: Facebook, LinkedIn, Twitter… these networks have become far more valuable to us. They exist because we contribute to them. They are where our best ideas can spread and have impact. Sometimes they even democratize power. Of course they are more powerful than an individual… even a powerful individual- and they are more powerful than the ‘old’ networks, because they carry our voice. It follows that what we can do as part of a network, as part of a collective, is far more impactful than what we can do all by ourselves. Are you using all the networks available to you to amplify your voice? Not so long ago – yesterday night to be accurate, I once again realized how hard it is to convince French Medical Doctors of this obvious reality. Being very busy working alone and only having trust in "authorities" keeps being the rules to them… the network being considered as a futile place where others are wasting time. Weirdly enough, lots of people talk about a Web 3.0 or 4.0 or even 5.0 in health (yes, 5.0) when the very basics of the Web 2.0 remain largely to be understood (you know, no longer a hierarchy, but a network; a meshed society with the people inside… and maybe one day joined by their care givers as soon as they have left both their pedestal and the tyranny of "what is validated from above"). You are currently browsing the Blog Odyssée weblog archives for October, 2016.